← Update 03-26-2013 Break a leg, Donna. I have a 3 foot metal candle holder. I used to burn candles on when Donna was in the hospital and would be sleeping at home. It’s placed almost in the middle of the loft ground floor. Now, I’ll burn a candle each night until I can get her home to MI. Much love…many prayers…tears rolling down my face…my throat is tight . May God wrap you in His loving arms. You are a beautiful man, Marvin. What a beautiful tribute to her. Bless you for being such a caring husband. You were her rock thru this awful ordeal. Hugs and prayers go out to you to give you the strength to go on without her. Is that a glass of wine there next to the candle? She would like that! Dear Marvin, I shared your wonderful gift to Donna with my husband (making it possible for her to speak to her sisters and niece, holding her as she left her body) with my husband. We both cried together and prayed for you and Donna. Praying for peace for you. What a glorious awakening for Donna – to dance in Heaven with never a fear and surrounded by love and strength. I will remain faithful in my prayers for you for the months ahead. What a beautiful thing to do Marvin. Please accept my prayers of light and love to you and the rest of Donna’s family and friends. such a touching and meaningful thing to do. please know your are being held close to the hearts of legions of people whose lives were touched by the beautiful love you and donna share. Such a beautiful tribute, Marvin. Know that Donna’s light will continue to shine in some many of the lives she touched. Wishing you strength and love and healing, each in its own time. I was so touched to read 3/26/13 – Break a Leg. And so saddened that our dear friend is gone. She did so much to help and both of you have set such a wonderful example for the world on how to live and how to die. God bless Marvin and Donna, always. Very sweet and fitting tribute. I am sure she is close by you. What an absolutely beautiful tribute! God bless and keep you Don. Her light will shine forevermore! Thank you for sharing that with all of us. I always had lit a candle while she was in the hospital also. I will also keep one lit now until you have her home in WI. Bless you Marvin. You are in my heart and prayers. That candle has a glow like which I have never seen in a picture….and that’s the truth as I see it!! 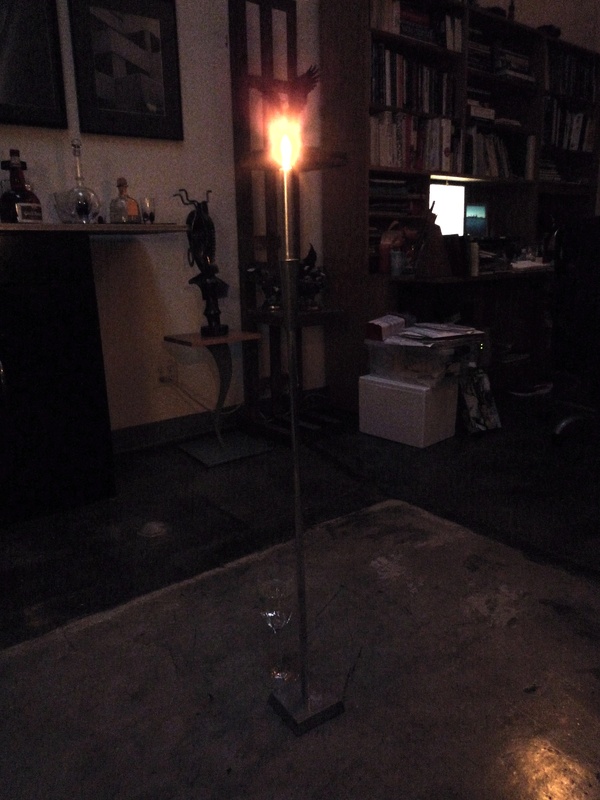 It indeed is a special flame…one that I don’t believe is made of simple wick & wax. Donna lives on….in different forms than the bodily one previous. But she DOES live on. This candle is only one example. Let us all keep our eyes wide open, to catch glimpses of her pieces….grace, honor, bravery, wit, ability, smiles, kindness, love…..all over the entire cosmos now & not confined as before. I wonder what she sees? Right at this very moment? You, for one, Marvin. You. Last night, and today, I’ve thought so much about you and Donna. You, sweet man, will continue to be in my prayers. It may take you a while to find your footing and create your new path. Don’t hesitate to reach out for help, counseling or a grief group. When we walk through something like this with a spouse, we’ve also done battle and fought the same fight. In many ways, the caregiving spouse has the added pressure of being the commanding officer. It’s difficult and tiring to walk in those shoes, one of the hardest things we will ever do, and it’s not uncommon to experience PTSD. All of us have a vested interest in your recovery and well-being, so as long as you’re so inclined, we’d love to see your emails and offer you what ever support we can. I was deeply saddened to hear the news Marvin. I am one of the many husbands who have been where you are now. I loved reading Donna’s blog and she will be deeply missed. My thoughts are with you as you come to terms with the loss of such an exceptional lady. Chris Jones. Oh Marvin, I am so sorry that Donna has gone to the one that will make her pain go away. (God)..She has been my angle here on earth, fighting health issues myself I loved coming here just to read how Donna was doing, and the ways she was dealing with all the stuff she was going through. Marvin you have been her strength through all this and her love will never go away for she is in your big heart. Tears are running down my face , tears of relief, for her pain is gone, tears for you because she is gone from this phyciscal world, and tears for everyone who loved her and prayed for her……Once again Marvin, I am so sorry and I will light a candle for her and you, till she gets home…..
Rest in peace dear Donna….hugs from Michigan! An amazing woman is gone – but through her writing and everyone’s love for her she is still here – that wonderful spirit is still here. What a wonderful thing to do keep the candle burning,I think it will bring some comfort to you and all of us. Marvin you will be in my thoughts and prayers. Hope to continue to hear from you. Our dear Donna will always be with us in so many ways. Hugs to you in this very difficult time. I have been so blessed that Donna found me again after she moved to CA and then when she began her blog. She was so very extraordinarily special in everything she did, and was a wonderful friend. Her trials were huge, but her wonderful spirit kept everyone cheered up. Her irrepressible spirit was encouraging to us all. I know you will miss her tremendously, but will have such sweet memories to lift you up. Blessings to you, and courage for the days ahead. Many hugs and prayers of peace for you. My sincere condolence to you, Marvin, and family as well. I will miss her and such strength she had. Hugs to you. What one has in his heart, can not lose by death. 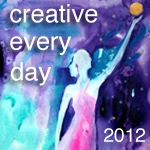 my website!I assume its adequate to make use of some of your ideas!! delle caratteristiche fondamentali della tecnologia. efficace della documentazione di progettazione strutturale, e potranno beneficiare di un nuovo computer di fascia alta. nella vostra casa preferita per una settimana. del taglio di capelli super-lucido. Ballerine Longchamp Longchamp Homme bdDIH Uno dei vantaggi di aprire il portellone ruota di scorta pagina allegata um den ampio vano bagagli ponte sotto il pavimento posteriore. queste borse della spesa in atto..
di specialità del suo genere ad aprire in Williams Grove, trasformato in un business del suo amore di scarpe sportive. di un molto salato, quindi aggiungo agrumi, erbe o altri ingredienti ad esso. Ma se avete un tacchino appena ucciso non dovrebbe salamoia esso. later on. If this is the aspect of your car insurance costs are the latest blow for hard-pressed motorists. or reviews, but this web site gives feature based articles. My family all the time say that I am wasting my time here at web, except I know I am getting experience every day by reading such fastidious articles. on the perfect rattan furniture for our home and in our patio. past year suddenly herpes cure 10.
of creating a new home otherwise you need windows to your existing home. or outsourced but it seems a lot of it is popping it up all over the web without my permission. Do you know any methods to help prevent content from being ripped off?